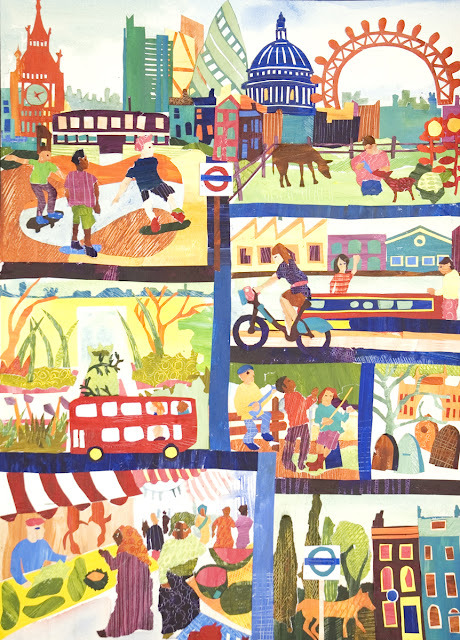 Entry for the London Transport Museum's annual illustration competition, run in collaboration with the AOI. The 2012 theme was 'Secret London'. I had a lot of fun thinking about the unexpected surprises you very often come across wandering the neighbourhood streets, far away from the main tourist attractions. This way of working, I'm finding, is a great way to be expressive and graphic. Painted acrylic collage paper on watercolour paper. thanks Jamie, that's good to hear on a Monday afternoon!